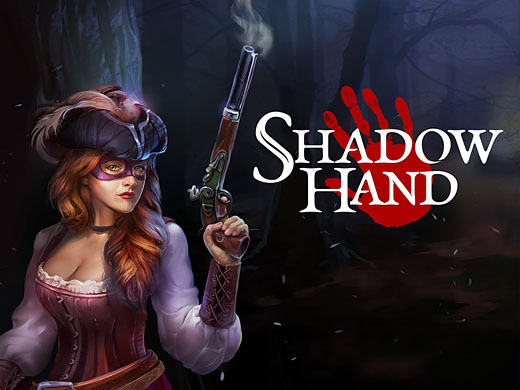 Right, this is it, the final push to get Shadowhand done! July was a scrappy month as I had a lot of Aikido going on plus we went to the Develop conference in Brighton, but now we have a wonderful clear calendar for August and that feels great. Here’s a summary of what’s left to do. There are of course many sub-tasks within these tasks and lots of smaller tasks are not listed. The tasks won’t necessarily be completed in this order but it’ll probably be somewhat close to this. – Finish balancing the first 5 chapters and send to beta testers. – Finish loot drop dialog code and test all loot drops. – Finish Gear code (stacking). – Duel mode loose ends + Chapter/Story related loose ends. – Some simple new mechanics/goal items e.g. jail bars, wanted posters (requires art and maybe sound effects). – Request some loose end art items from the art team. – Finish Active Ability code (Gavel, Stand and Deliver, and loose ends). – Finish Smoke bomb, extra gear/ability slots, lantern, spooky doll. – Maybe another Beta test of first 10 chapters. – Process remaining enemy art for 2nd half of game and plug into game (about a week). – Finalise some game design questions. – Finalise weapon/enemy stats and test. – Edit and test levels for chapters 6 to 22. – Set goals for normal/hard difficulty modes. – Finish End Game screen. – Edit all game and story text. There will of course be post-launch fixes/improvements and also localisation if the game performs well enough to justify it. Phew, that sounds like a lot of work, but none of them are giant tasks as the bulk of the game and the systems are done. It’s just finishing things off and making sure it plays well from start to end! My main todo list (in Excel) has time estimates on it and it claims that the remaining work will take 217 hours. Some of the work may go well and take less time but the reality is some of it will take more time and there will be unexpected new tasks cropping up. Currently I’m aiming to have it done by the end of August, which is about 46 hours a week, so not a crazy crunch, but it’s going to be pretty intense. Anyway, the plan is to keep regularly posting dev diary updates now (and the occasional video) until the game is done. Wish us luck in finishing it soon! Thanks. This entry was posted on Friday, July 28th, 2017 at 1:22 pm and is filed under Developer Diary, Game Development. You can follow any responses to this entry through the RSS 2.0 feed. Both comments and pings are currently closed.